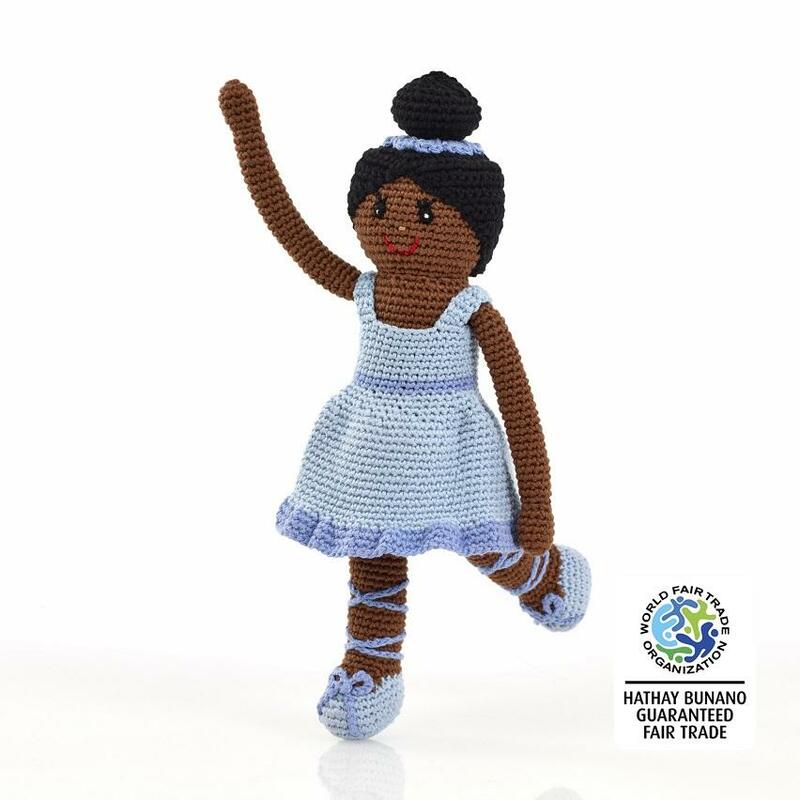 This gorgeous ballerina soft doll in her blue tutu with matching blue ballet shoes and hair band is bound to be a hit with ballet loving kids. Fair trade and handmade. Machine washable. Hand crochet in cotton.